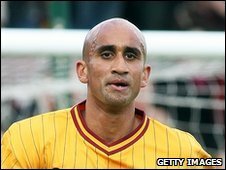 Bradford City defender Zesh Rehman has been placed on the transfer list and stripped of the club captaincy because of a club disciplinary matter. Rehman, 27, recently questioned why he had been overlooked for first-team selection and will now be available for a free transfer in January. The club captain's role has been handed to midfielder Lee Bullock. Pakistan captain Rehman has featured in 12 games this season, but has been an unused sub for the last two matches. In a live BBC Radio Leeds interview on 29 November, Rehman said: "I'm not going to lie, it's left a bad taste in my mouth having to watch the last few games from the bench. "I've led the team to good results and performances and then I've had four young loan defenders, with 10 league games between them, come in and play ahead of me. "Now, no disrespect to them, but at times like this I think you need experience. "I'm club captain, have played over 200 games in my career so far and I think my experience could help the team right now. "It's not just me that's baffled as to why I'm not playing, but my team-mates as well and I've been stopped by a number of fans too. "But, at the end of the day, the manager [Peter Taylor] has to pick the team that he thinks can win and you have to respect that and get on with it." Rehman joined Bradford in January 2009, originally on loan from Queens Park Rangers. He then agreed a permanent deal at Valley Parade in July. "The manager has spoken to me about it and he feels the right-backs he has brought in are a bit more attacking than myself," added Rehman. "But the last game I played at right-back was in a 5-0 win [against Oxford] and that was probably our most attacking performance of the season. "So I won't necessarily agree with that opinion but you have to respect it."